Township Committee – About, minutes, members, etc. Board of Education – About, duties, etc. Board of Health – About, dog licensing, etc. Environmental Commission – About, members, etc. Planning Board – About, members, etc. Recreation Commission – About, minutes, etc. Zoning Board – About, minutes, etc. Animal Control – Wildlife problems, rabies, etc. Building Department – Permits, inspections, etc. Municipal Court – Location, contact, etc. Office of Emergency Management – Staff, duties, etc. Recycling and Trash – Drop-off, fees, etc. Registrar & Vital Statistics – Licenses, vital records, etc. Tax Department – Collection, assessment, etc. Zoning & Code Enforcement – Permits, fees, etc. A REGULAR MEETING of the Stillwater Township Committee was called to order by Mayor Chammings at 7:02 p.m. noting the meeting date, time and place were duly published in the New Jersey Herald and posted at the Town Hall and advised those present that this meeting was being held in compliance with provisions of P.L. 1975, Chapter 231, Sections 4 & 13. Roll Call was taken and the flag was saluted. ALL MATTERS LISTED BELOW ARE CONSIDERED ROUTINE IN NATURE AND WILL BE ENACTED BY ONE MOTION. THERE WILL BE NO SEPARATE DISCUSSION OF THE ITEMS. IF ANY DISCUSSION IS DESIRED, THAT PARTICULAR ITEM WILL BE REMOVED FROM THE CONSENT AGENDA AND WILL BE CONSIDERED SEPARATELY ON THE REGULAR AGENDA. Mr. Fisher made a motion to adopt the Resolutions as listed, seconded by Mr. Gross. Mr. Morrison made a motion to approve the minutes, seconded by Mr. Gross. Mr. Fisher made a motion to approve the minutes, seconded by Mr. Gross. Mr. Scott made a motion to adopt Resolution 2018-032, removing PO #7854 for further consideration, seconded by Mr. Fisher. Mr. Scott made a motion to pay PO #7854, seconded by Mr. Fisher. THEREFORE, BE IT RESOLVED that the Township Committee of the Township of Stillwater they do hereby concur with the Mayor’s appointment of Michele Hess as Secretary of the Recreation Commission effective February 6, 2018. Mr. Scott made a motion to adopt Resolution 2018-033, seconded by Mr. Morrison. At this point, this portion of the meeting was opened to the public at 7 :10 p.m.
-JCP&L provided notice that the Power Systems Institute Program is open again. An open house information session will be held on February 13th at Raritan Valley Community College for those interested in a career in the utility industry. The program is paid for by JCP&L and participants obtain an associate degree at the conclusion of the two-year program. There is no age limit. -80 circuits were upgraded in 2017 by JCP&L. -Sussex County League of Municipalities workshop meeting will be held on March 16th and will focus on the opioid epidemic. Registration and networking will begin at 5:30 p.m., followed by the meeting at 6 p.m. There being no further members of the public wishing to speak, this portion of the meeting was closed at 7:15 p.m.
Mr. Bolcato reported an agreement was received from Wantage requesting the addition of Branchville to the Joint Municipal Court. Mr. Bolcato reviewed the agreement and has requested some language changes. 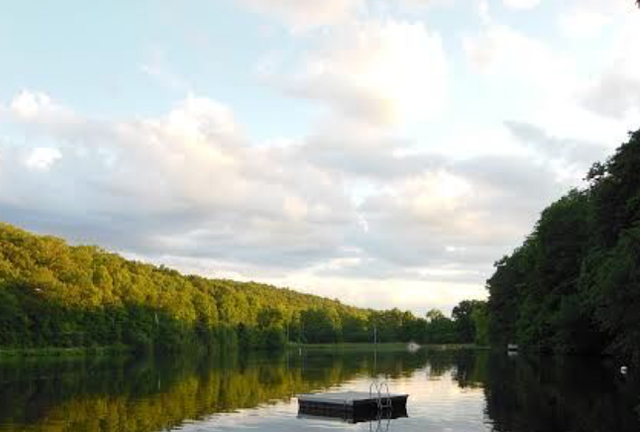 Sussex Borough will provide their input prior to it being finalized and State approval. In rem foreclosure documents were provided to the Tax Collector for her review. If it meets with her approval a resolution will be added to the next agenda. Mr. Bolcato forwarded his concerns with the ordinance SECTV drafted. He is awaiting their response. He reported the abandoned property registration revenue cannot be used to address maintenance issues on other properties because the funding cannot be dedicated to a specific purpose as there is no provision to do so included in the statute. meeting resumed at 7:30 p.m.
Old Schoolhouse Road – $93,000 in funding available for remaining work. Mr. Vreeland reviewed the project (total cost – $185,000). Ms. Mooney noted the township would need to fund half of the project at $92,000. West End Drive: The grant amount for West End is $165,000; total project cost is $225,000. The difference would need to be bonded. Five Points: Following discussion, Ms. Mooney will budget $5,000 to allow bonding of $100,000 if needed. Mr. Raff discussed resurfacing both ends of Stillwater Road in the future; Middleville to Five Points is in very bad condition. He asked if this could be addressed in conjunction with the Five Points project – may be a good candidate for a grant application. Mr. Vreeland mentioned other grant applications in addition to the municipal grant program. Oil and stoning: Fairview Lake Lane, Duck Pond Road, Gap View, Middleville Road from Fairview Lake to Mt. Holly Road. A discussion was held on the effectiveness of resurfacing vs. oil and stone and the cost comparison. Crack sealing was also considered. Mr. Raff felt a resurfacing program will need to be set up in the future to improve the roads. Ridge Road: Two grants were received for a total of $330,000; 75% to be awarded up front. Ms. Mooney indicated she did not receive any information on the second grant and will need to research this matter further. She will provide an update so a determination can be made on the appropriation of funding. Grant approval letters were received by the township but no agreement. Mr. Vreeland will follow up on the matter. The project cost is estimated at $370,000; and $311,000 has been budgeted. Recycling Center Entrance Road: Mr. Vreeland reported no bids were received; there is the possibility to now negotiate with contractors pending advisement by Mr. Bolcato. The project can be funded through the Recycling Trust. The Committee discussed the best process to address the road and determined QP topped with oil and stone may be the best option. Mr. Vreeland felt it was monetarily comparable to the materials originally bid on the project. Mayor Chammings suggested using the appropriation from Pompey Lane in the amount of $18,000 toward the Recycling Center driveway. Following further discussion, the Committee determined $70,000 would be funded directly through the Recycling Trust for the Recycling Center driveway, turn-around area and concrete pad for the oil container. A discussion was held on purchasing a new roll-off and the Committee determined the roll-off would be purchased in place of the front loader, budgeting/bonding $173,000. The Committee briefly reviewed eleven Fire and Rescue budget items totaling $89,600. A majority of the discussion was completed at the last budget meeting. The Committee determined the plan would remain as submitted. The following items were reviewed: Generator, fuel pump replacement, alarm system at the Municipal Building, and keyless entry door and garage doors at the DPW garage. 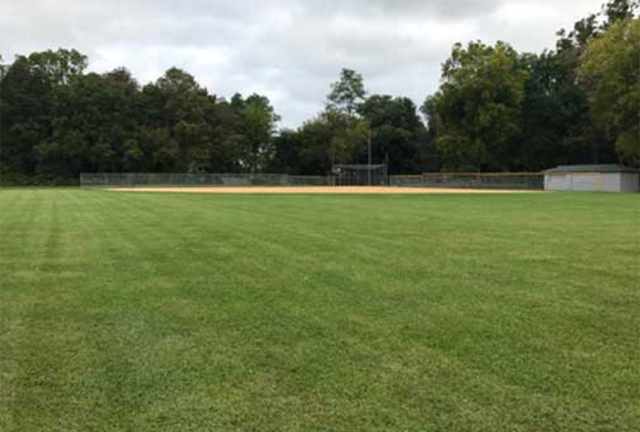 Landscaping services: Three quotes were received and reviewed; it was determined the Township would remain with the current contractor and budget $15,000. School, Training and Seminars: Mr. Raff discussed the pesticide certification course – $560.00 one-time cost and $80 annually for the applicator license. A fertilizer applicator certification could also be obtained at a cost of $25 annually and the course and testing are offered on-line. Park and Playground Maintenance: Repairs to the concession stand at Stillwater Park in Swartswood – $1,200; recreation shed at Veteran’s Memorial Park (VMP) – $300; with fencing around the monument at VMP the total line item was increased to $2,000. The Committee discussed the playground, parking lots and the basketball court relocation. The Committee determined the rock wall would be removed from the proposal, leaving a whirl-around, slide, swings, and seesaw at a cost of $13,000, not including installation and surfaces. The Committee budgeted $20,000 for this item to be funded through the Open Space Trust. Ms. Mooney recommended preparing an Open Space budget each year to manage the funding properly. Parking lot (VMP): $50,000 – The Committee disagreed with paving the lot at Veteran’s Memorial Park (VMP) and this item was removed. Mr. Raff will provide an estimate to address resurfacing issues and $5,000 was appropriated. At this point, this portion of the meeting was opened to the public. There being no members of the public wishing to speak, this portion of the meeting was closed. There being no further business, Mr. Fisher made a motion to adjourn the meeting at 10:12 p.m., seconded by Mr. Gross. In a voice vote, all were in favor. 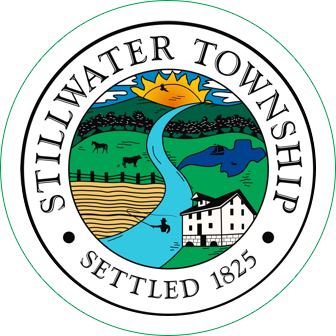 Stillwater Township offers residents a Recycling and Convenience Center for household trash and recycling. Residents are able to view property tax information through the Municipal Software Inc. system. You may find a property by entering the property’s location or block, lot and qualifier. 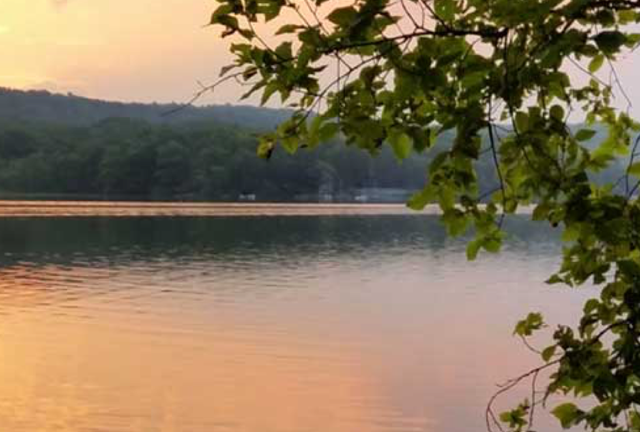 Stillwater Township posts all information about bids and proposals for township projects on a dedicated page. Sitemap - Copyright 2019 Stillwater Township New Jersey. All rights reserved.